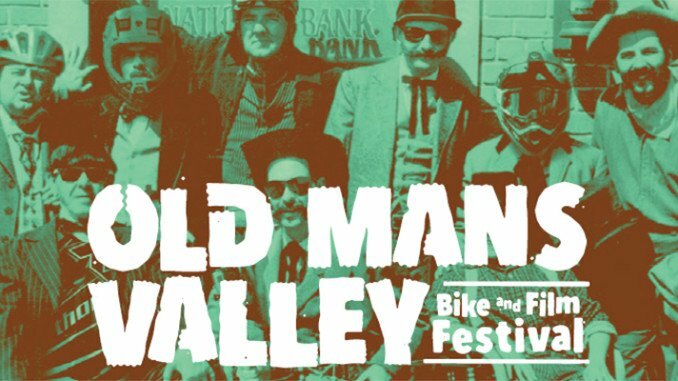 The Old Mans Valley Bike & Film Festival returns to Hornsby on Saturday, November 7 2015 – featuring a day of off-road bike racing and free kids races, followed by an outdoor cinema under the stars in Hornsby Park – all wrapped inside a tongue-in-cheek, spaghetti-western theme. This year, over 2000 people are expected to make their way to Hornsby for the Festival including and some of NSW’s best riders. The day includes cyclocross racing (the fastest growing 2-wheeled sport in the US*), cross country mountain bike racing (XC) and the house specialty – the Bomber/Whippet relay. Developed by SNORC (Sydney North Off Road Cyclists – the originators of the Festival) specifically for the Festival, the Bomber/Whippet relay features teams of two; the Bomber (downhill rider) and Whippet (climber). Combining the best of mountain biking disciplines, the Bomber is let loose on an adrenalin-pumping downhill course, tagging in the Whippet to weave his or her way back up the brutal pinches to the top. Not that it is all serious racing – anyone can ride the trails in the morning, on provided state-of-the-art demo bikes. There will also be kids racing, a BBQ lunch and lots of activities for the entire family. The outdoor adventure theme then continues in Hornsby Park with a screening of unReal, the most talked about MTB film of the year, as well as a selection of short adventure films. All of Hornsby is invited to bring a picnic blanket and celebrate under the stars with a pop-up bar, range of food trucks and a mechanic on hand to look over your bike – offering something for everyone.